Every few months, I get ambitious; abandoning my modest selection of must-have Skyrim mods, and embarking on a grand plan to build it into something impossibly beautiful. Inevitably, it all goes wrong. The lighting isn't quite right, the distant mountains look a bit off, or whole sections of water have just vanished. 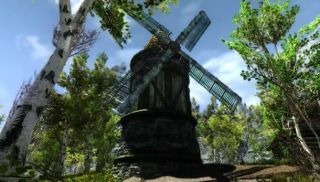 But its videos like this—a showcase of what can be achieved with RealVision ENB—that make me want to try all over again. ENBSeries mods can be difficult to install properly, but, if you'd like to give it a go, there's a great step-by-step guide on the RealVision ENB forum page. And if you really want to get the game looking like it does in the video, be sure to go through the recommended and optional mod lists, too. See some of the previous showcase videos below, and for more Skyrim mods, check out our guide.